CINCINNATI (April 2, 2019) – Flexible packaging leader ProAmpac today joined with L’Oréal – Matrix Hair Care to celebrate acceptance of two Graphic Design USA (GDUSA) awards for “disruptive” consumer packaging that has helped “drive sales” and “reinforce the importance of packaging graphics” in successful on-shelf marketing. “We wanted our holiday program to stand out and be disruptive on shelf, said Elizabeth Richardson, assistant vice president haircare & channel marketing for L’Oréal – Matrix Hair Care. 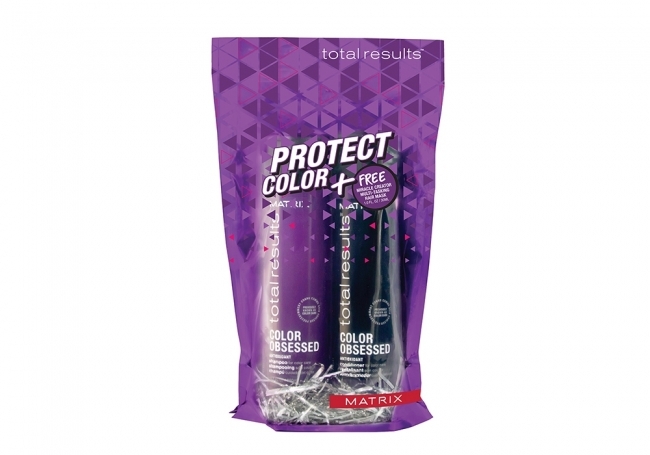 MATRIX, the leading professional haircare and haircolor company in the United States, is part of Loreal USA's Professional Products Division. Founded in 1980, MATRIX is committed to the development of the salon professional and offers a wide range of products including: COLORGRAPHICS, COLORINSIDER, Color Sync, Logics, Oil Wonders, SOBOOST, SOCOLOR, Style Link, and Total Results (MATRIX professional products are available only in salons and can be guaranteed authentic when purchased from authorized retailers.) Visit Matrix.com for hairstyle and haircolor inspiration as well as MATRIX trends and tips!